Neil McCann gets a £40,000 golden handshake from Falkirk as his spell with the club is brought to an end. 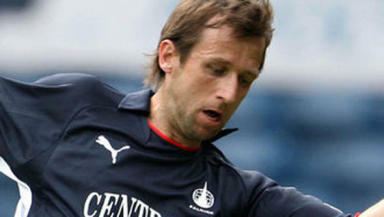 Neil McCann has been given a £40,000 golden handshake from Falkirk as his spell with the club was brought to an end. McCann’s departure from the club was sparked by a training ground argument with Steven Pressley. Manager Eddie May said: "Neil's away. I'd like to thank him for his professionalism when he was here and wish him all the best." The former Scotland international will continue his media punditry with Sky Sports and is apparently casting about for a new club. St Johnstone manager Derek McInness dismissed rumours of a move to Perth for McCann. Falkirk will look to strengthen their strike force following the departure of Michael Higdon and Steve Lovell, pending the possible departure of Scott Arfield.